Kelly Norah Drukker is the author of Small Fires, (McGill-Queen’s University Press), a debut poetry collection that won the 2016 A.M. Klein Prize for Poetry, the 2016 Concordia University First Book Prize, and was a finalist for the Grand Prix du livre de Montréal (2016). Born in Montreal, Kelly grew up in the Laurentian region of Quebec, and has worked and taught English in the UK, Ireland, Switzerland, and France. Her poetry and creative non-fiction have appeared in The Malahat Review, Contemporary Verse 2, Montreal Review of Books, The Island Review, The SHOp, enRoute Magazine, Literary Review of Canada, Headlight Anthology, Room Magazine, Poetry New Zealand, carte blanche, and The Montreal Prize Longlist Anthology. In 2006, her suite of poems “Still Lives” won second prize in the CBC Literary Awards, and an abridged version was aired on CBC Radio’s Between the Covers. Her work has received a Norma Epstein Prize for Creative Writing (2013), and has been longlisted for the Montreal International Poetry Prize (2011). A frequent performer at reading series in Montreal, she has also been a featured guest and reader on CBC, CKUT, and CJAD radio. Kelly holds a Master’s degree in English and Creative Writing from Concordia University. She has studied with The Humber School for Writers, and has participated in writing residencies at The Banff Centre and Sage Hill. She currently lives in Montreal, where she is pursuing a doctorate in Humanities at Concordia University. 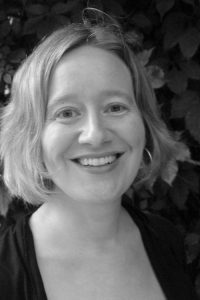 Kelly Norah Drukker est l’auteure de Small Fires, un premier recueil de poèmes publié dans la Hugh MacLennan Poetry Series de McGill-Queen’s University Press (juillet 2016) qui s’est mérité en 2016 l’A.M. Klein Prize for Poetry et le Concordia University First Book Prize 2016. Kelly était également finaliste pour le Grand Prix du livre de Montréal 2016. Née à Montréal, elle a grandi dans la région des Laurentides au Québec. Elle a travaillé et enseigné l’anglais au Royaume-Uni, en Irlande, en Suisse et en France. Ses poèmes et essais littéraires ont paru dans de nombreuses publications canadiennes et internationales, notamment The Malahat Review, Contemporary Verse 2, The Island Review, The SHOp, enRoute Magazine et Poetry New Zealand. En 2006, son recueil de poèmes Still Lives s’est mérité le deuxième prix des CBC Literary Awards et a été diffusé à la radio de CBC. Elle a reçu un prix Norma Epstein for Creative Writing (2013), et a été mise en nomination pour le Montreal International Poetry Prize (2011). Kelly donne souvent lecture de son œuvre à Montréal, elle a eu le plaisir de participer à des émissions radiophoniques à CBC, CJAD et CKUT. Kelly possède un diplôme en anglais et création littéraire de l’Université Concordia. Elle a étudié à la Humber School for Writers et participé à des résidences littéraires au Banff Centre and Sage Hill. Elle vit présentement à Montréal où elle est doctorante en sciences humaines à l’Université Concordia. To listen to Kelly’s reading at the Atwater Poetry Project, click here.